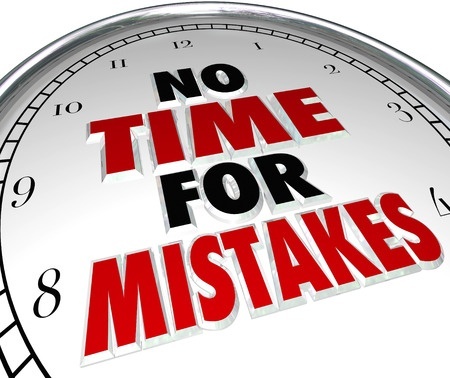 Let Bankruptcy Lawyer Christopher German fix any mistakes. It’s not uncommon to turn to friends and family for help during a difficult financial time. You cannot prefer your friends and relatives over other creditors if you end up filing a bankruptcy case. The bankruptcy code sees it as unfair discrimination know as a “preference” against your other creditors. Please seek the advice of our Denver bankruptcy lawyer if you are considering filing for bankruptcy and you owe money to friends or family members. I have seen numerous cases where the Trustee has sued a sibling or parent to recover the money that was repaid. Bankruptcy clients often take drastic measures to stay afloat. Liquidating their retirement accounts often seems like a viable and accessible option. It always makes me a bit sad when a client has done this. Retirement accounts are usually a protected asset in bankruptcy, which means they are yours to keep. You get hit with large penalties and taxes when you liquidate one of these accounts early. You then get stuck with tax debt that is not dischargeable in bankruptcy. It does happen where client will want to transfer an asset to a friend or not disclose it to their attorney for fear of losing it. This is never a good idea. Talk with your attorney about all assets and any solutions to protect them. There are many bankruptcy exemptions which protect your personal property in bankruptcy, and those can’t be applied once you have transferred the property to a relative. Trustees have the ability to sue a third party in order to get the property back. Don’t ignore lawsuits against you that have been initiated by your creditors. These lawsuits can lead to garnishments and bank levies if your creditor is awarded a judgment against you. If you fail to comply with certain court orders, you may be held in contempt of court. Pending legal action against you will continue to move forward until your case is actually filed with the bankruptcy Court. What is bankruptcy? What happens in a bankruptcy case? Bankruptcy is a legal process that provides relief for individuals who can no longer pay all of their debts. If you are thinking of bankruptcy as a way out, this video will provide basic information about bankruptcy, the relief you can receive, and how to find the legal help required to file safely. Watch this video on Bankruptcy Basics, produced by the U.S. Bankruptcy Court. Or go to my Bankruptcy Basics page and watch all the videos on bankruptcy.